almost new! 1 year manufacturer warranty! Low Hours! Cyclone REGISTER+CCP! Cyclone REGISTER 360. Robust Cyclone REGISTER Plus Cyclone REGISTER 360 for 1 year with Leica Geosystems' best-in-class Customer Support. REGISTER 360 product non-concurrently and tap in to Leica Geosystems’ expert support staff to help you achieve success in every project. 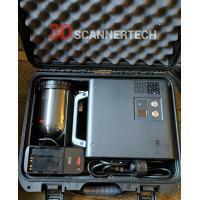 miniaturized package allows you to bring the power of scanning to projects you never thought possible. terrestrial, mobile and handheld data for total sensor fusion; and detailed statistical reports so you can validate your data to anyone. registration process and take the headache out of large and small projects. Push your project to Cyclone REGISTER to take advantage of other advanced tools or to JetStream Enterprise, TruView Enterprise and more with a single click to continue work downstream. *iPad Pro & HP Laptop (not included).